SCBA facepiece lenses showing evidence of exposure to intense heat is an indication of thermal degradation and potential failure. In addition to complying with the Inspection, Repair and Removal from Service provisions of NFPA 1852, Selection Care and Maintenance of Open- Circuit Self -Contained Breathing Apparatus, fire departments, fire academies, and emergency service organizations should ensure that all SCBA facepiece lenses are inspected before and after each use. Any SCBA facepiece lens found to have cracks, crazing, bubbling, deformation, discoloring, gaps or holes should be immediately removed from service and a replacement issued. In addition to complying with the provisions of NFPA 1404, Standard for Fire Service Respiratory Protection Training, fire departments, fire training academies and emergency service organizations should review their training programs to ensure that the following components are addressed in their curriculum: the limitations of respiratory protection devices; awareness that delayed recognition of intense thermal environments that can occur while wearing a firefighter protective ensemble; and how to respond to problems encountered when using SCBA in high temperature environments. When evaluating fire conditions and determining fire attack tactics and strategies, incident commanders, company officers, and firefighters should take into account the thermal performance limitations of SCBA facepiece lenses and the problem of delayed recognition of heat intensity due to the thermal insulation/protection provided by the PPE ensemble. In addition to following existing departmental Standard Operating Procedures and Guidelines regarding use of PPE, all personnel engaged in commanding, supervising or performing interior fire attack operations can reduce the possibility of facepiece lens deterioration or failure by maintaining constant situational awareness and by being alert for deteriorating conditions indicative of extreme thermal temperatures/flashover conditions. When confronted with such conditions, personnel must initiate self-evacuation or be directed to retreat to a safe area. Fire departments, fire academies, and emergency service organizations that utilize SCBA should begin planning for the upgrade or replacement of current SCBA facepiece lenses with products compliant with the upcoming 2013 edition of NFPA 1981. Even after the issuance of the new edition of NFPA 1981, it is expected that there will be continued research and development activities to better understand the thermal characteristics of SCBA facepiece lenses, and to better predict the conditions that are likely to cause a SCBA facepiece lens failure. As updated information becomes available, it will be posted at www.nfpa.org/scba. Exposure to high temperature environments, which firefighters can encounter during fires they are attempting to extinguish, can result in the thermal degradation or melting of a Self- Contained Breathing Apparatus (SCBA) facepiece lens, resulting in elimination of the protection meant for the user’s respiratory system and exposing the user to products of combustion and super heated air. Self-Contained Breathing Apparatus (SCBA) is a critical component in the personal protective equipment (PPE) used by today’s fire service. This equipment is essential for allowing fire fighters to operate in hostile fire ground environments. However, in recent decades there have been significant shifts with the environments encountered by structural fire fighters and how they operate in those environments. Structure fires involving modern building construction and furnishings produce significantly higher heat release rates than legacy buildings and their furnishings of earlier years, exposing firefighters to more rapid heat development and intense thermal conditions. PPE used by firefighters has evolved to provide enhanced overall thermal protection, allowing firefighters to remain in adverse conditions for longer time periods. Enhanced PPE for today’s firefighters has made them less able to detect changing thermal conditions. The SCBA facepiece lens is an integral part of SCBA and today the lens material is generally based on polycarbonate. The SCBA facepiece lens is often considered the weakest component of a firefighter’s ensemble in high heat conditions, but the level of thermal performance of the facepiece lens has not been well understood. During the investigation of firefighter fatalities that occurred from 2002 to 2011, the National Institute for Occupational Safety and Health (NIOSH) found evidence of thermal degradation of facepiece lenses that may have been a contributing factor in three fatalities.1 In the fatality cases, the firefighters were likely still “on air” at the time they were overrun by extreme thermal conditions; all had their SCBA facepiece still in place; all had SCBA facepieces that displayed extensive damage consistent with thermal conditions that likely exceeded the capabilities of the SCBA facepiece lens, resulting in the loss of respiratory protection from an Immediately Dangerous to Life and Health (IDLH) environment. The firefighters in these incidents suffered thermal injuries to their respiratory system and sustained inhalation injuries from products of combustion. NIOSH also reported on the investigation of three SCBA from a state training academy2 where the SCBA facepiece lens showed evidence of thermal degradation after being used in live fire training. Additionally, in four other NIOSH Line of Duty Death Investigations3, the evidence, while not conclusive was suggestive of possible SCBA degradation or failure. Among the voluntary consensus standards developed by the National Fire Protection Association (NFPA) are standards for firefighter personal protective clothing and equipment. These include NFPA 1981, Standard on Open-Circuit Self-Contained Breathing Apparatus (SCBA) for Emergency Services, which is principally developed by NFPA’s Technical Committee on Respiratory Protection Equipment (the Technical Committee). The concerns with facepiece lenses identified in the NIOSH investigations were brought to the attention of the NFPA Technical Committee by the National Institute of Standards and Technology (NIST) and the NIOSH Division of Safety Research, Fire Fighter Fatality Investigation and Prevention Program. In addition, in 2010 NIST, NIOSH, the Fire Protection Research Foundation (FPRF) and the NFPA jointly hosted a research planning workshop on evaluating and addressing the concerns regarding the thermal impact of SCBA facepiece lenses.4 Subsequently, the Department of Homeland Security (DHS) and the United States Fire Administration (USFA) funded and participated with NIST in research5 that validated the adverse consequences to firefighters when lens degradation occurs in extreme thermal conditions and developed and provided new testing and performance methodologies to the NFPA Technical Committee on Respiratory Protection Equipment.6 Based on the information learned from the NIOSH investigations and NIST research, this Technical Committee is in the process of incorporating new test methods and performance criteria for facepiece lenses into the proposed 2013 edition of NFPA 1981, which is slated for completion and issuance as early as the Fall of 2012.  Information on the continuing development of this new edition is available at http://www.nfpa.org/1981next. Career officer LODD as instructor at training facility, Pennsylvania, 2005 (NIOSH Report F2005-31); Career officer and fire fighter at residential fire, Texas, 2009 (NIOSH Report F2009-11). Volunteer fire fighter killed by rapid fire progression in apartment complex – Maryland (NIOSH Report F2011-02). Status Investigation Report of Three Self-Contained Breathing Apparatus Submitted by the Pennsylvania State Fire Academy, Lewistown, Pennsylvania NIOSH Task No. 14292, May 1, 2007. Career officer and fire fighter LODD at acquired structure training, Florida, 2002 (NIOSH Report F2002-34); Volunteer officer and fire fighter LODD at residential fire, Texas, 2007 (NIOSH Report F2007-29); Career fire fighter LODD at residential fire, Virginia, 2008 (NIOSH F2007-12); Volunteer fire fighter LODD at residential fire, Alabama, 2008 (NIOSH Report F2008-34). Bryner N. and Mensch A., “Emergency First Responder Respirator Thermal Characteristics: Workshop Proceedings,” Workshop held in Pittsburgh, PA in July 2010, NIST Special Publication 1123, Gaithersburg MD, June 2011. Bryner N., Braga G. and Mensch A., “Fire Exposures of Fire Fighter Self-Contained Breathing Apparatus Facepiece Lenses,” NIST Technical Note 1724, National Institute of Standards and Technology, Gaithersburg,MD, November 2011. For further information, visit www.nfpa.org/scba and www.cdc.gov/niosh/fire.